Its location, economic and cultural role rank it among significant Giant Mountains foothills communities. Every year, Trutnov becomes a center of music festivals and other social functions. 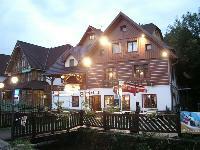 Trutnov can also offer a nice choice of accommodation facilities, restaurants and cultural sights that are worth seeing.